Everyone is having holiday and everywhere you see is full of Chinese. 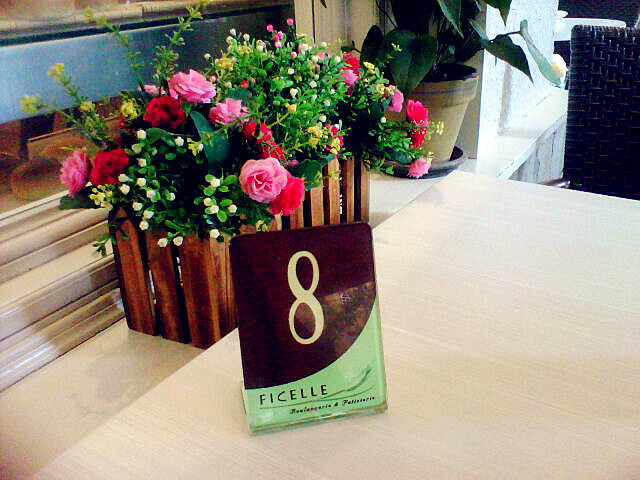 Oh yes, even the Ficelle was almost full house when le bf and I went there for brunch. ONG A! We got a number 8! Ok la, I'm superstitious. I believe the number 8 can bring me lots of money luck. As in, all the money come to me and not flowing out. Nice bouquet of flower with my lucky 8. Sorry eh, I'm a cheapskate. I find the drinks shouldn't be that costly. So FREE water is the bomb in Ficelle. I read some of the reviews said Caramel Brioche was good. To my surprise, I don't find it to be tasty. 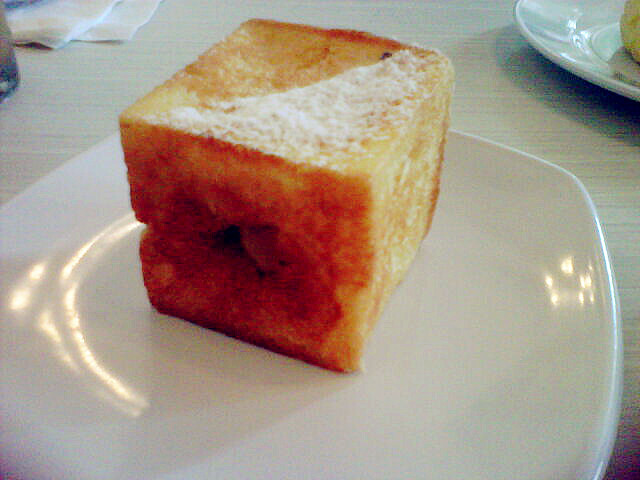 It was fluffy but the caramel was too sweet and it actually spoilt the taste of the bread. I would suggest the caramel to be slightly thinner and not too sweet so the caramel can completely match with the fluffiness of the bread. To be honest, I don't fancy this. First I thought the melon taste would be some kind of fillings but then, the melon taste was actually on the bun itself. The crunchiness of the top skin has slight melon taste with no fillings. 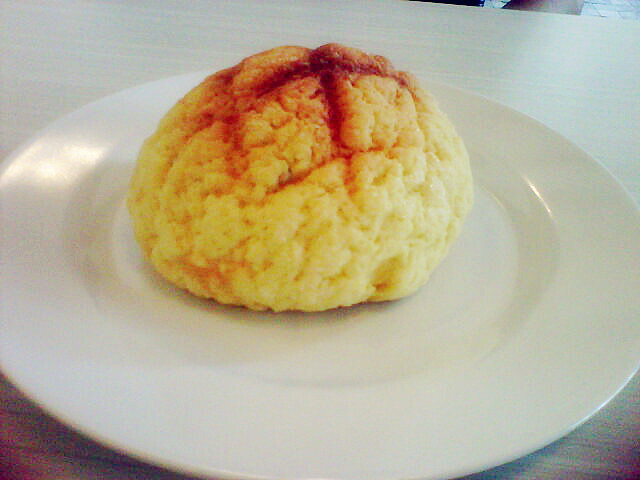 Oh well, RM 1.20 for quite a big bun is more than enough. The pizza was nice. If you are with your partner alone, please do not order this. 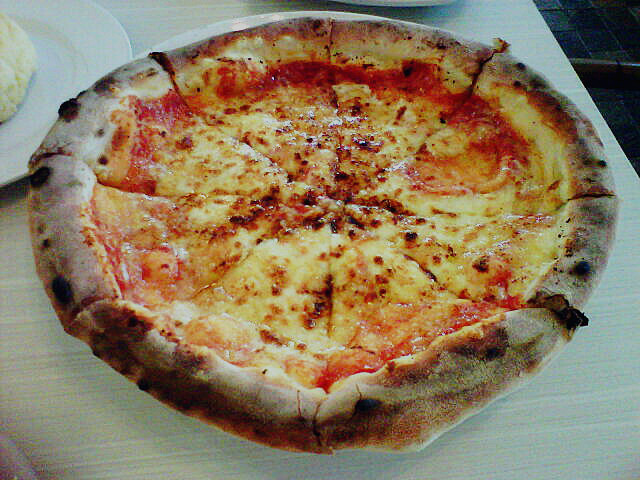 Le bf and I had some difficulty to finish the whole pizza because it was too cheesy. Moreover, the bread itself tasted like the cheese naan kind of bread. Yeah, it tasted like cheese naan. The pizza itself was fine, but it was too cheesy and I don't really like it. 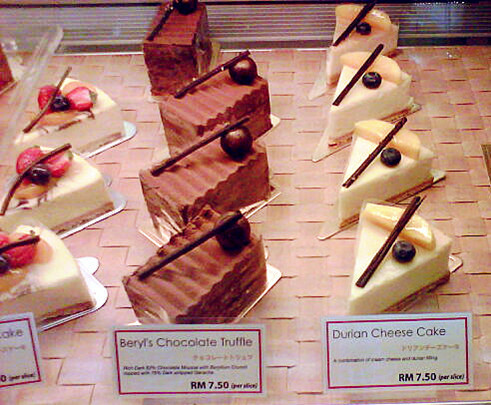 So here are some of the cakes in store. I already tried my best to shoot clearer but what can a 3.5 megapixels camera phone can do? Blurred every photo I took. 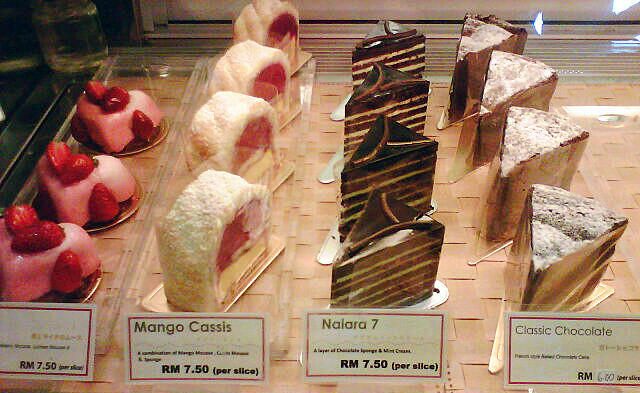 The price for the cakes are quite reasonable. I know looks can be deceiving but look at them, aren't they cute? 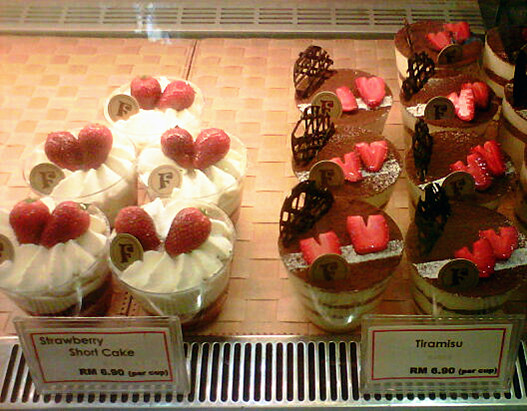 Just look at the heart-shaped cake, I found myself hard to eat them. CUTE OR NO? Pyramid and apple shaped one leh. I gone crazy for 5 seconds. There are more cakeys and breads in the store. I could only take some photos because my 3.5 megapixels camera phone is limited edition and captures blurred photos. 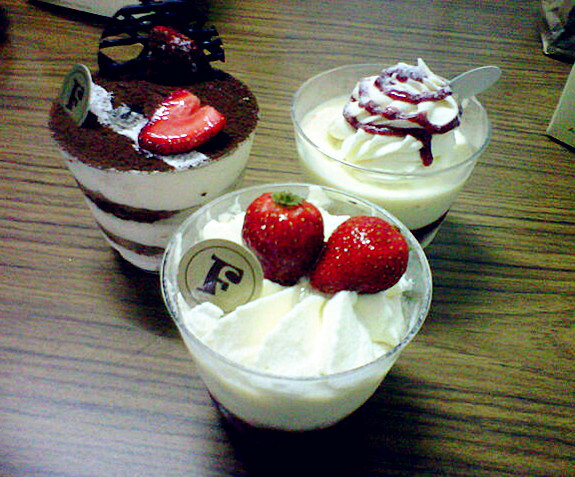 We took away four desserts because we were having full stomach already. I think I ate this in a wrong manner. I'm not sure I should flip it over so the caramel can flow to the top, or I should just stir the cream. 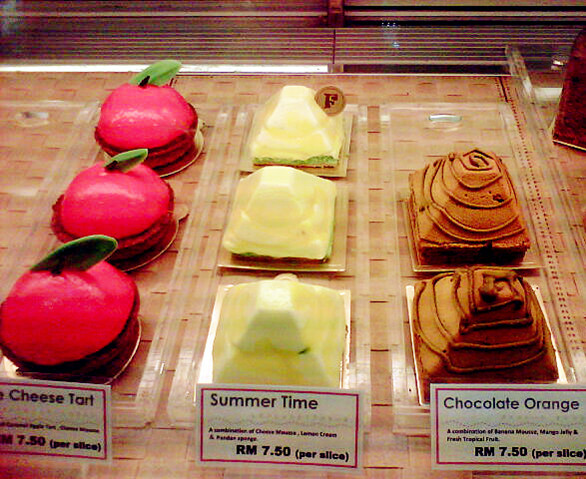 I think it should taste nice when you are eating the cream with caramel taste, instead of plain cream taste. 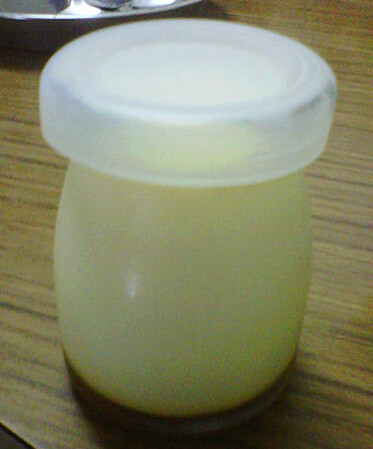 Any kind soul can teach me how to eat this cream caramel? Someday, I will come back and try on the pasta instead of the pizza. There are so much more to try on! I will definitely pay a visit to the sister's store: Levain Boulangerie & Patisserie in order to check out the difference. Both Levain and Ficelle are under same management. Ok, time to end the post with my buey pai seh selca photo. Indeed, I think go there yum cha hi-tea session better than having a proper meal there. yeah. I have to go levain once then oni i die heart XD. I think its a bit pricey ler. may be you can try to have some cakeys but definitely not the pizza. 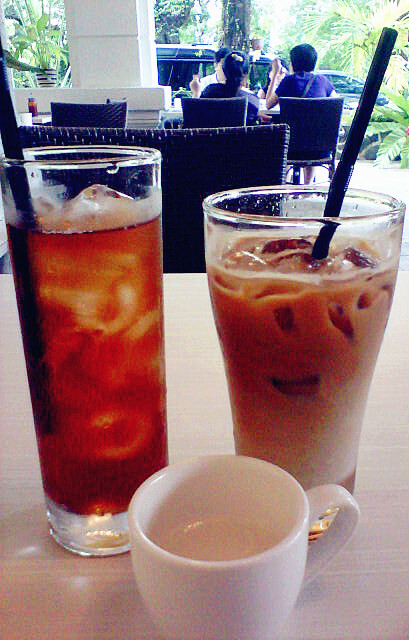 And better get free water instead of ordering a drink at the counter :X. 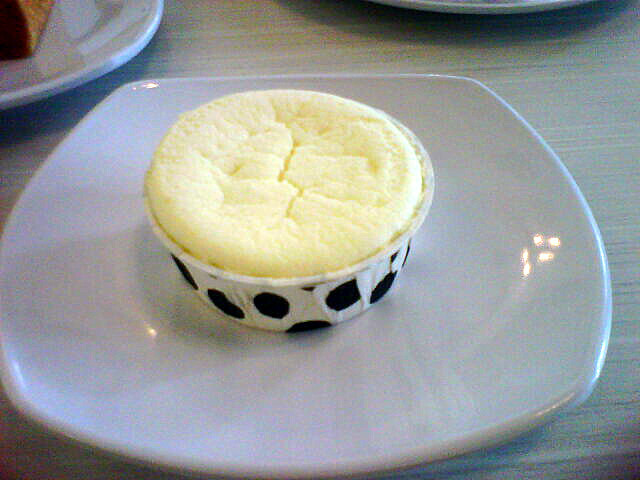 Looks like a nice environment and it's that dish served with real Hokkaido cheese? 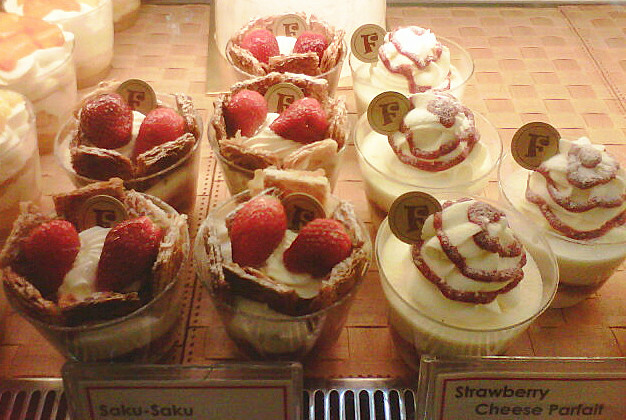 Then again, Hokkaido's not famous for cheese. LOL. I'm not where do the cheese come from LOLOLOL. The name attracted me :X.
Y u no bring me! wahaha :) looks good. 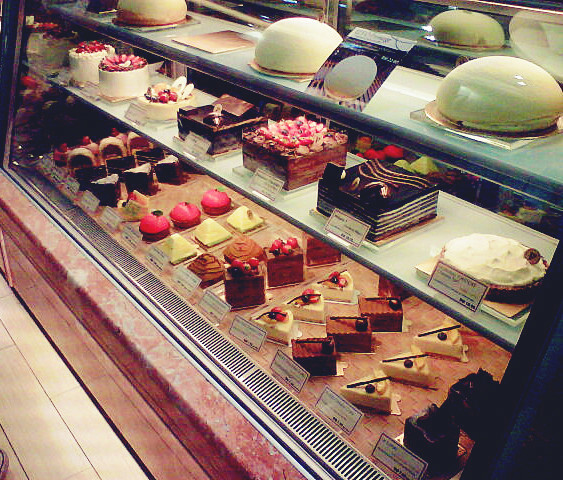 looks like a heaven for girls with all the cakes. haha. noooo.... But i think there's free water. And again, Levain can be just for having hi-tea purpose nia. yup yup. And for breakfast, you can always buy the bread to eat lol. The breads are cheap!